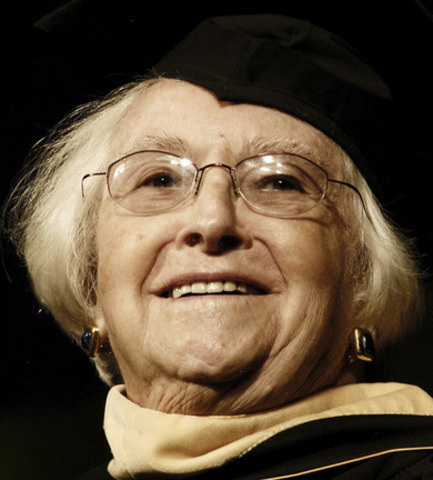 Helen Dix received the Kent State University Medallion in 2007. The League of Women Voters of Kent established a scholarship in memory of Helen Dix. When Helen died in the Fall of 2013, she was the last surviving charter member. Helen was instrumental in furthering the League of Women Voter’s (LWV) mission in Portage County from LWV Kent’s organizational meeting in 1953 throughout the rest of her life. Helen was passionate about the importance of education and its accessibility to an informed citizenry. This scholarship will be available to non-traditional female students at Hiram College and Kent State University, institutions which she supported in a variety of ways for many years. Recipients of the Helen Dix Scholarship will be chosen with the hope and expectation that they will persist in their educational pursuits, and become successful leaders in their communities and in the career of their choice.